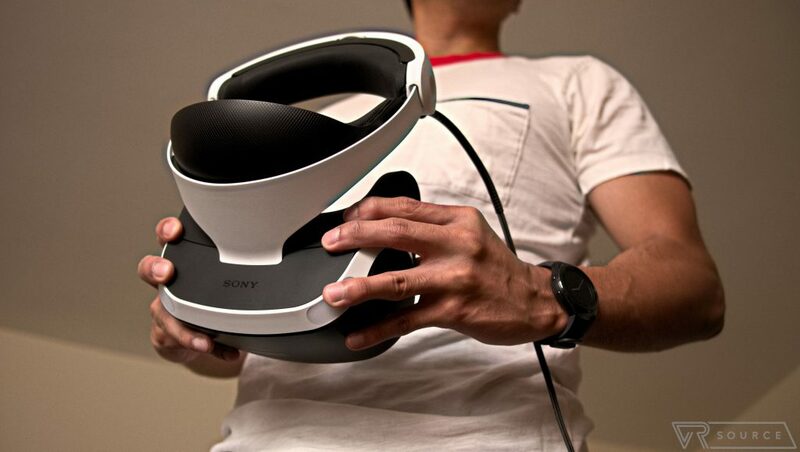 While the technology might not be quite as good as its PC-based competition, the Sony Playstation VR is a much more accessible VR experience thanks to only requiring a PS4. The PSVR further benefits from a stellar launch library, a great design, and the expertise in gaming that you'd expect from Sony. Several months after virtual reality has gone commercial, it’s still widely viewed as a niche segment. The idea is brilliant, of course, even innovative when you think about the level of immersion we’ve been able to achieve, but despite all the advances, virtual reality has yet to see that adoption on a mass scale. It’s not to say that the Oculus Rift and HTC Vive were failures, but rather, the steep initial investment in obtaining a PC rig capable of handling them is arguably the biggest barrier that’s preventing the masses from diving straight into VR. This is where Sony chimes in with its offering, the PlayStation VR, which some are already claiming to be the system that’ll help proliferate VR beyond just the early adopters. Given the opportunity it has right from the get-go, as there are millions on PlayStation 4 systems in circulation, it has a larger user base to help establish itself in this increasingly competitive space. However, that shouldn’t be the defining factor that’ll help push virtual reality as a whole, but rather, it’ll purely come down to the execution and experience – the two foundational qualities that separate good VR from the bad. At the same time, though, Sony’s being backed by some well-known developers and publishers that’ll no doubt bring quality titles to the system over the competing headsets. Knowing what’s on the horizon, it’ll be intriguing to see where Sony’s VR system will sit in the landscape – more so knowing that there are innovations from the competition that makes the experience even more immersive. Being convincing at the beginning will undeniably help Sony establish itself, but will the PlayStation VR be the one to really disrupt things? The design is ALMOST perfect, rivaling the straightforward approach we get from the Oculus Rift. First of all, it’s by far the easiest to adjust because rather than relying on velcro straps, which sometimes have a trial-and-error process with finding that sweet spot, Sony ingeniously uses a sliding method with its headset to offer a quicker, more hassle-free way of strapping it on. There’s no fiddling because you press the button on the headset’s underside to release its grip, and from there, adjust it accordingly until there’s a snug fit. Simple, easy, and quick! Another striking characteristic of the PS VR is its futurisitic, sci-fi looking design, which is the complete opposite of what we get from the Oculus Rift and HTC Vive. You can say that it sports a friendlier demeanor, appearing more inviting to wear than its rivals. That’s partly because of how its chassis blends together its black and white paint job – complemented by the glowing sections found throughout the headset. 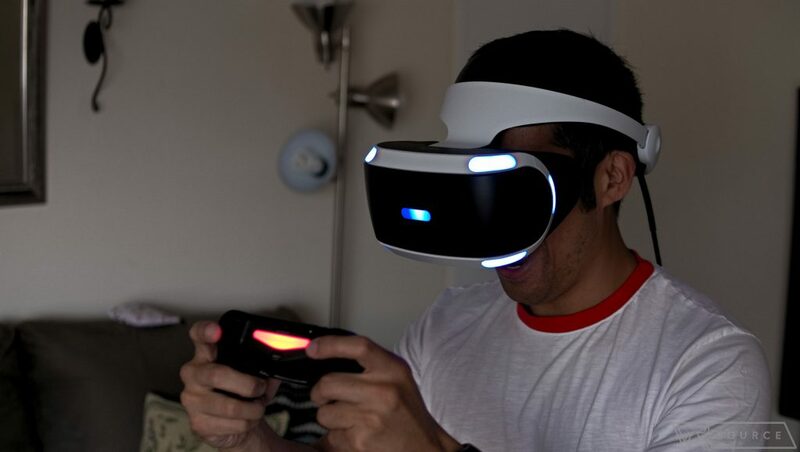 You won’t look dorky or anything like that when you wear the PlayStation VR headset! When it’s on, we do like how it feels comfortable to wear over a period of time, despite the fact that it’s indeed heavier than both the Rift and Vive. Thanks to how the main compartment of the headset, the plastic ring that rests over our head, is balanced equally by the weights on the back of the headset – as well as the section that accommodates the display. We even like how there are added cutouts around the nose section that help to mitigate the amount of ambient light that comes into the display area. 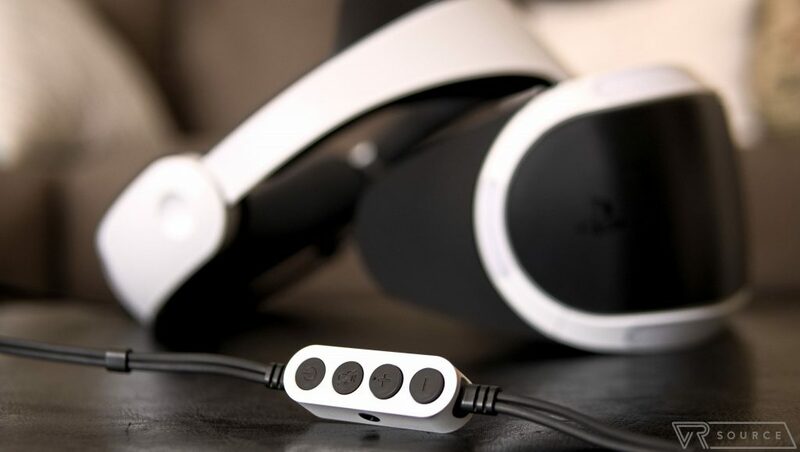 Like we said, the design is almost flawless, with the exception how audio is still delivered through a separate connection, rather than being integrated like the Oculus Rift. While it’s less of a pain to use in-ear headphones, those who prefer ones that go on or over the ears will have to deal with the extra process of remembering to take them off, before proceeding to remove the headset. Regardless of that, we really have to applaud Sony for designing a VR headset that looks like a polished, finished product, and not a prototype. 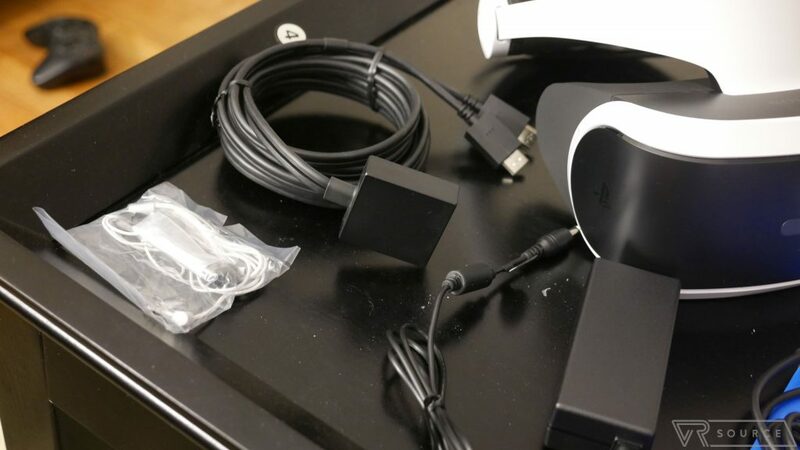 Much like the Oculus Rift’s implementation, there’s only a single sensor we’re left dealing with when it comes to tracking the headset – so in this case, it’s the PlayStation camera. We decided to place it above our television, since the vantage point from there seems to be more optimal than if we were to place it below. 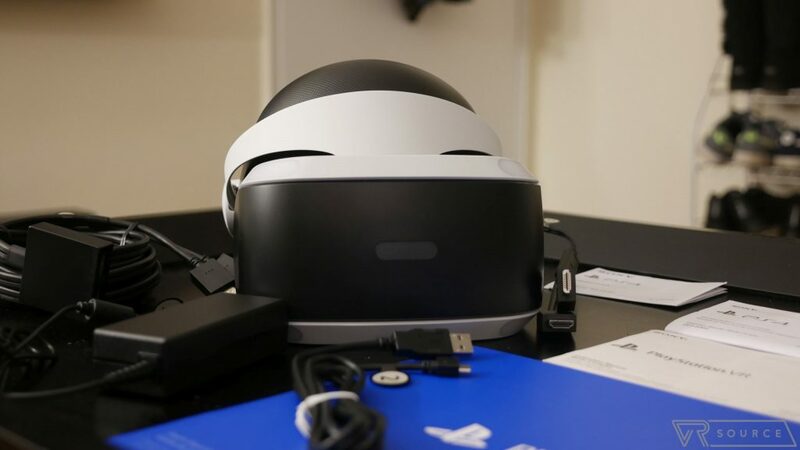 Besides the headset itself, the supplementing processor unit is something worth noting out of the bunch, since you can say it’s the brains behind the scenes with the PS VR. 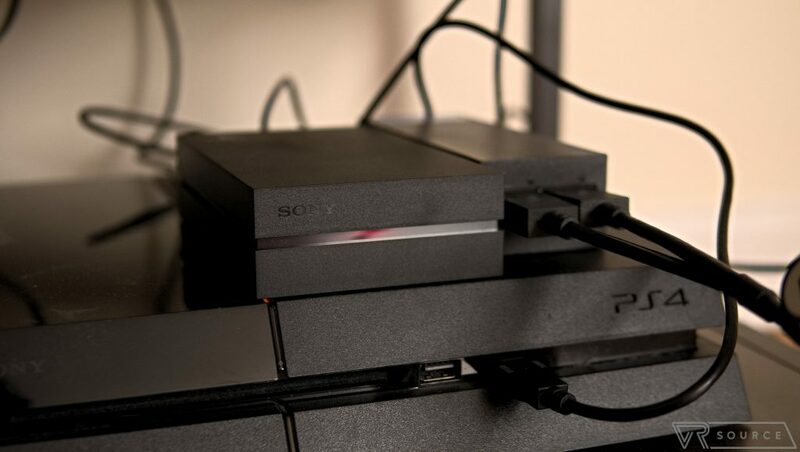 Yes, we find that it’s rather annoying there’s now an additional thing that needs to be tethered to the PlayStation 4 – in addition to all the cables and power cords. Despite that, we have to admit that the initial setup was a breeze. The only thing left in the aftermath of the setup are the maze of cables and cords going in-and-out of the PS4. Whereas before it appeared inconspicuous amongst the other stuff in our entertainment center area, now it’s an eyesore that sticks out. It’s just something you’ll have to live with. Without taking into consideration the software updates and downloads, the whole process from unboxing to completion took a little over 15 minutes. This is absolutely the defining category, whether or not it has the guts to convince us that we’re immersed in another world – or just in some kind of nauseating thrill ride. Before we get down to the nitty-gritty, we’ll briefly talk about the display in the PS VR. 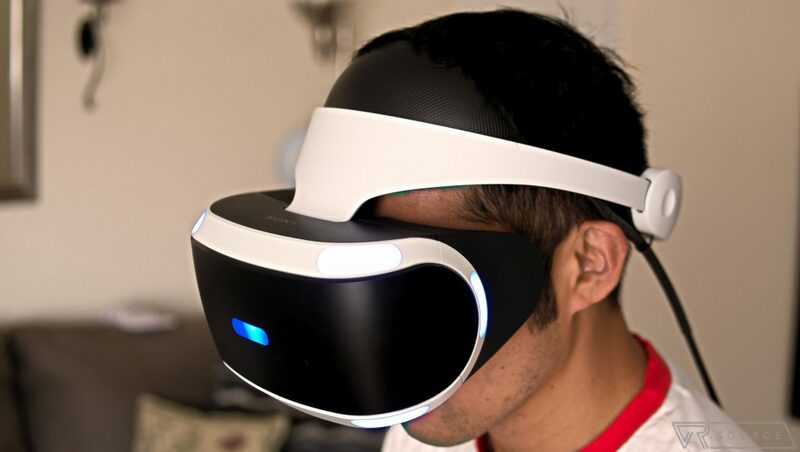 Unlike the two other VR systems, the PS VR opts for just a single display, a 5.7-inch OLED panel with a resolution of 1920 x 1080 pixels, which essentially means 960 x 1080 per eye. Versus the competition, it’s indeed a lower resolution, which some might feel would impact the experience. At the same time, too, the PlayStation VR has a narrower field of view – 100-degrees, versus the Rift and Vive’s 110-degree coverage. Frankly, we don’t feel that those two qualities makes for a detrimental experience. Sure, edges might appear jagged at times, indicating how the resolution combined with a single display panel can make for an inferior graphics performance, but we really don’t feel that its narrower field of view takes away from the overall experience. After a while, honestly, you get used to it. Now, in order for the entire system to work properly, the PlayStation Camera acts to keep track of all the positional LEDs found on the headset – in addition to the others found with the DualShock 4 and Move controllers. Considering that there’s a limit to the PlayStation Camera’s field of view, it means that the PlayStation VR will mainly isolate the interaction to what’s in front of us. This is a limitation of sorts with the current configuration of the hardware, so that means we won’t have games or experiences that force players to constantly turn to the opposite side of where the camera is tracking. Even without that full 360-degree immersion, it doesn’t affect the overall experience in our opinion. Many games that we’ve checked out, in fact, compensate for this particular conundrum, by presenting gameplay in a “forward” direction. Rail type games such as Until Dawn: Rush of Blood are played in a sitting down position, so that most of the interaction is done with whatever’s in front of us – with virtually zero instances of having to peek around what’s behind us. In terms of tracking, we did notice several instances when the VR world would “shift” slightly because of tracking issues. Similar to the Rift’s current implementation, the PS VR appropriately adjusts for many forms of articulation in the VR world – such as leaning forward/back, or left/or right. 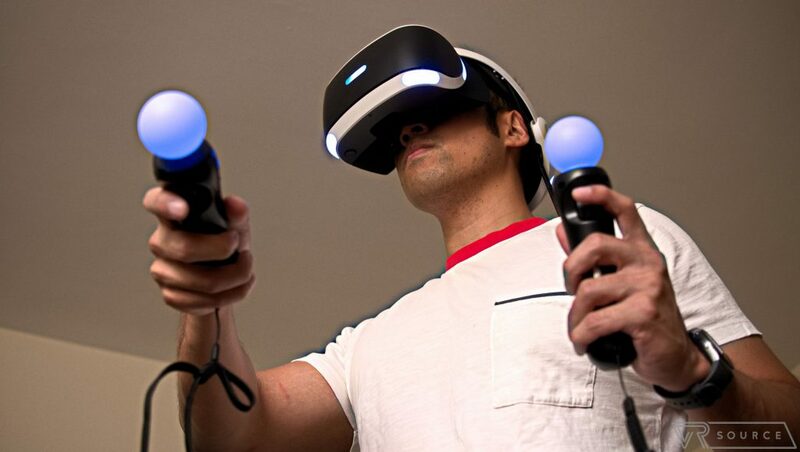 However, even when sitting or standing still at times, with the Move controllers/DualShock 4 in front of us slightly blocking the headset from being in direct sight of the PlayStation camera, we notice a slight “shift” in the VR world. In the event we’re totally out of the camera’s field of view, the game usually goes black to indicate that we’re out of the boundary; forcing us to get back into position. This anomaly can be affected by the ambient light in the room, especially bright sources of light behind us in the playing area. Those strong sources are probably distracting the tracking to an extent, so in order to mitigate the issue, it’s probably best to turn them off completely. Okay, so besides some of those tracking issues, the PS VR for the most part paints the same convincing experience as the Rift. It might not offer the same room scale experience as the Vive in its current incarnation, but movement is relatively smooth – there are no inconsistencies with its performance that we can see. 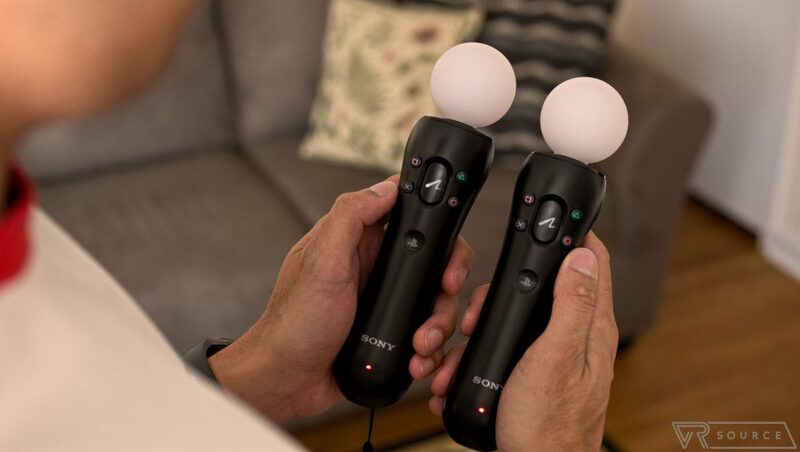 Naturally, the Move controllers provide for a slightly more immersive experience, since in most games and experiences they become our hands in the virtual world. The last aspect we want to talk about is VR sickness, which is the bane for any VR system. Since most of the titles we’ve been checking out rely on us sitting down, as opposed to standing up, VR sickness is less apt to overcome those who are more prone to motion sickness – such as myself. Due to the sitting down experience, it means that there’s less infuence on the mind when it comes to motion. However, there are still times when it’s necessary to take 15 minute breaks. Shooters that have you positioned in a cockpit will affect those prone to motion sickness, seeing that movement is done in almost every angle, causing the experience to be a bit jarring. Frame rates also contribute to VR sickeness. While it’s difficult to say whether or not the games we’ve been checking out all consistent run at a minimum of 60 FPS, it’s something that developers will need to be mindful about when pushing the PS4 to its limits. Right now, we’re satisfied with the PS VR’s overall experience, especially for a newcomer in the space that’s getting its feet off the ground. The Move controllers, in particular, greatly complement the immersiveness, as they become an extension of our hands in the VR world – as opposed to experiencing games strictly with the DualShock 4 controller. The hardware is here, but it’ll be the content and games that’ll help to proliferate Sony’s VR system on a mass scale. From the onset, Sony clearly has an advantage because it already has an existing base to deal with, as there are millions of PS4 owners around the world. Still, it’ll be up to the developers to intricately make convincing VR games – and so far, it looks like they’ve delivered on that front. 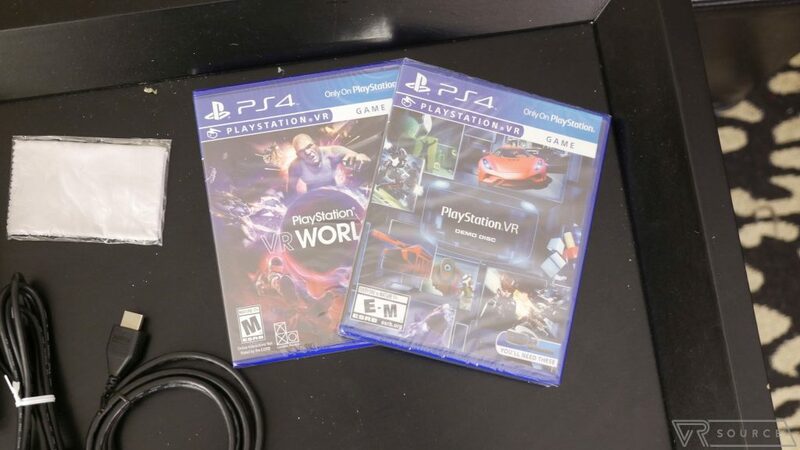 Included with the launch bundle is VR worlds, consisting of 5 games that demonstrate the capabilites of the PS VR. Games like VR Luge and Danger Ball have us interacting with the headset only, which gets a bit repetitive over time. For that 360 degree experience, Ocean Descent does a nice job of simulating what it’s like to take a trip to the bottom of the ocean floor. Again, this is mainly a headset-only affair, showing off the smooth tracking of the system. These three titles are relatively reserved for the most part, but the last two titles are better. Scavengers Odyssey, set in a cockpit, has us piloting this spacecraft while exploring this alien ship. There’s a lot of movement as you can imagine, much like any space shooter, so it’s really imperative to take necessary breaks to lessen VR sickness. And finally, The London Heist has us in the roll of a robber as we steal a diamond and drive in a getaway van. Set also in a first person perspective, The London Heist demonstrates the full extent of the PS VR’s capabilities as we get the chance to interact with many things in the game. From handling weapons, to opening the passenger door to see what’s behind us, the action is non-stop in this one. Already, Sony has some top rated developers and publishers behind its back to ensure that the PS VR won’t go unnoticed. While video games are generally lauded for their stories, gameplay mechanics, and graphics, they’re going to be evolved with the introduction of VR. Gamers are no longer just sitting back and enjoying the experience on their television sets, but rather, they become part of the action by being transported into the actual game. Benefiting from an existing base, the PlayStation VR’s starting cost of $399.99 makes it less on an inconvenience for those who already own the PS4, Move controllers, and PlayStation Camera. 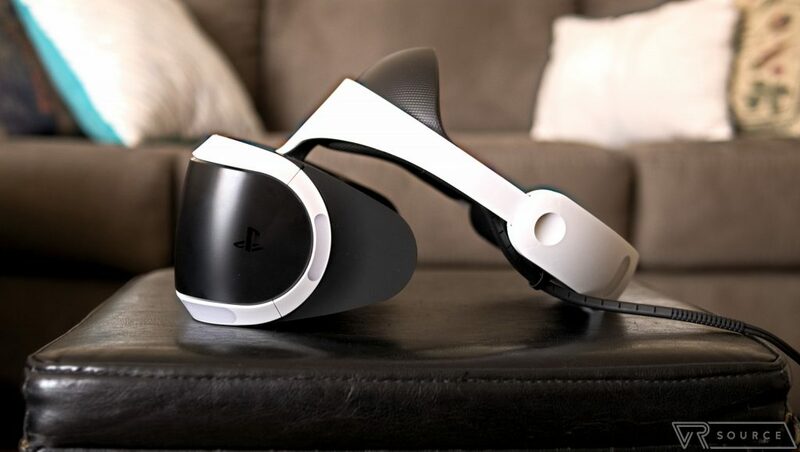 For those who are starting fresh, the overall investment is still easier on the pockets, given that the total cost involves $499.99 for the PS VR launch bundle (includes the PlayStation camera and a pair of the Move controllers) and $299.99 for the console – a total of $800 from the looks of it. That’s still significantly less than owning the HTC Vive or Oculus Rift with a PC rig capable of handling them. Yes, it’s still a hefty investment, but we feel as though Sony has the sweet spot to broaden VR’s adoption to consumers on a larger scale. Out of the gate, the PS VR offers just as much fun as the Oculus Rift when it launched several months ago. Above everything else, though, it’s that the PS VR is being backed up by a healthy selection of titles right from the beginning – with more to come in the near future. Besides some of the minor tracking issues we’ve experienced, the PS VR paints a convincing VR experience, one that’s good enough to accept. On the horizon, however, the competition sees the threat from Sony and has already begun to evolve. More recently, Oculus has shown us how its upcoming Touch controllers and room scaling will breathe new life to the Rift – while also optimizing its performance and lowering the specifications for VR capable rigs. The HTC Vive is still arguably the class leading system when it comes to immersiveness, which has a step up over what the PS VR can currently do in its incarnation. All of that will definitely cause Sony to evolve in a similar manner. 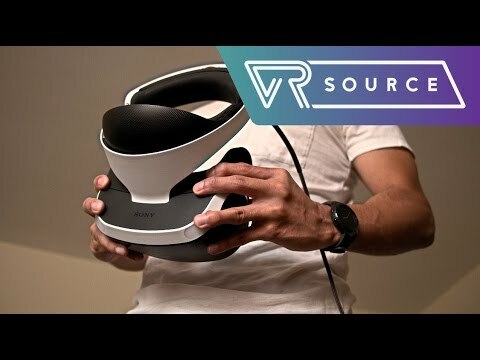 While adding new controllers and interactions in the VR world are logical steps to go down, it’s ultimately going to be the content that’ll drive people to Sony’s system. 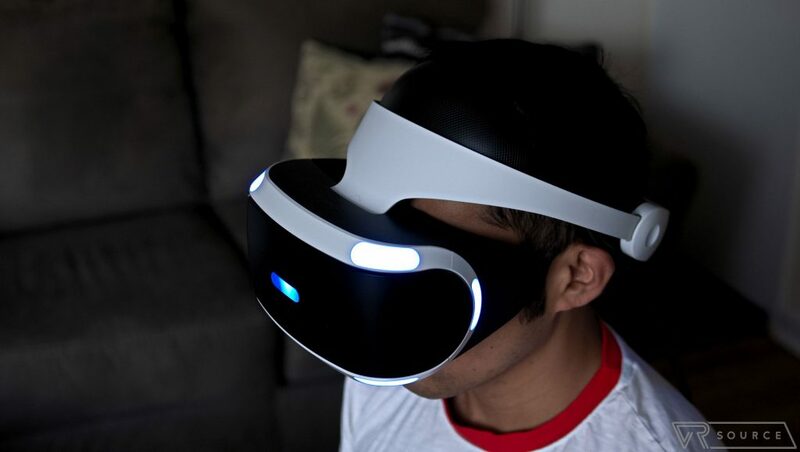 Just as long games come out polished and perform decently, while also concocting newer, more riveting experiences, the PlayStation VR can potentially be the system to take VR to the next level – and that’s broader adoption, spurring more interest into this once niche segment. How does VR perform on different types of PCs?